High Chair tutu Colors: Turquoise, Aqua and White Tulle. White and Silver Glitter Snowflakes and Banner. 6 White "Snowball" Pompoms attached to white ribbon. Listing price is for a 36" High Chair Tray (which should cover standard high chair trays). Message me with any ideas you may have and we will work together to create the most beautiful high chair tutu! Birthday picture posted was this set made was 24" Long. 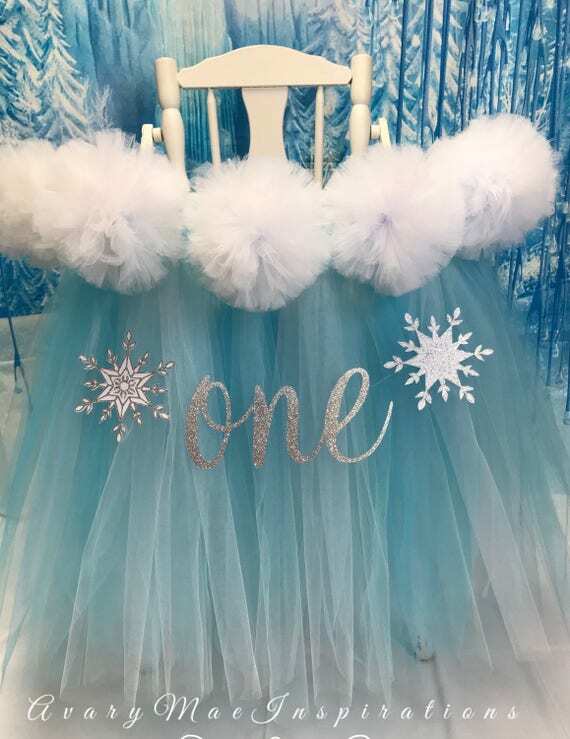 High Chair tutu Length can be made longer or shorter, just message me.